Twisted Pixel and Troma: Together at last! Someone must have been reading my dream journal. I’ll be the first to point out that I’ve got unusual tastes in entertainment. I like good games, naturally, but I also like B-Movies. I don’t mean movies that aren’t good enough to be worth watching. I mean movies that are worth watching BECAUSE they are so bad. The sort of things that the MST3K guys would have put through the paces. And when it comes to movies that are so bad they’re good, you can’t go wrong with Troma. These are the guys that produced The Toxic Avenger and Tromeo and Juliet. They also distributed a movie called “Cannibal The Musical,” an early project by the men who would go on to create South Park. Now I’ve learned that, in some small way, The Gunstringer will fuse together two of my great loves. 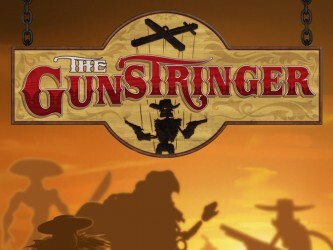 You see, since Gunstringer is played out on the stage of a theater, each level is, in fact, a performance. As such, it just doesn’t seem right to give you a leaderboard position and a percent complete. They need to give you a critique. How else are you going to grow as an aspiring puppeteer? These come as snippets of text, directed at you, the player. Some will be written by Twisted Pixel Staff. Others will come from actual reviews received by Twisted Pixel. The rest will come from special guest reviewers contacted by Twisted Pixel. Already announced is the skilled reviewer Alex Navarro, but now he will be joined by a man with a disproportionate effect on my tastes in film, Mr. Lloyd Kaufman. The very picture of cinematic integrity. I could go on about this, but I’m sure you’d rather hear it from the horse’s mouth. 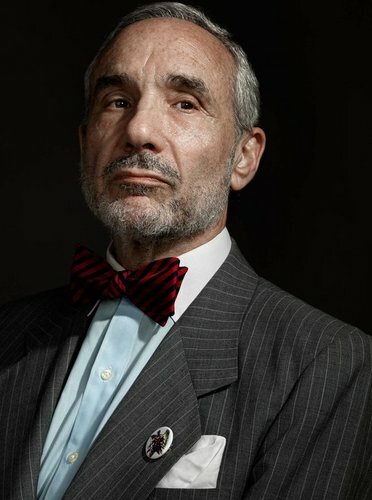 Check out the official post over at www.gunstringer.com and do yourself a favor and visit www.troma.com. While you’re there, do Lloyd a favor and buy something.